Al/SiCp composites machining is considerably difficult, owing to the presence of hard particles that result in severe tool wear. The application of different cooling and lubrication methods can offer a favorable change in the tool used in machining of Al/SiCp composites. 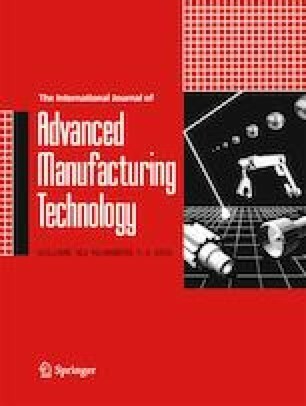 To study the effects of different cooling and lubrication conditions on the tool wear in the machining of Al/SiCp composites, turning experiments under dry, liquid nitrogen (LN2), minimum quantity lubrication (MQL), cutting oil (Oil), and emulsion environments were conducted, and the mechanisms of tool wear with respect to boundary wear, major flank wear, adhesive wear, and tool breakage were discussed. The results indicate that the MQL and LN2, which exhibit excellent flushing performance, could wash away the chips and SiC particles from the boundary zones of the minor flanks, thus reducing the boundary wear. However, the use of Oil and emulsion promoted the formation of an abrasive slurry that enhanced the three-body abrasion at the boundary zones. In addition, the MQL and LN2, which show excellent lubricating and cooling properties, promoted the reduction of the major flank wear. The formation of worn pits and built up edge(s) (BUE) on the rake faces confirmed the presence of adhesive wear in the turning of the Al/SiCp composite using polycrystalline diamond (PCD) tools, and the cooling effect of MQL and LN2 could not prevent the workpiece material from accumulating in the worn pits and giving rise to the BUE. When turning Al/SiCp composites under LN2 and Oil conditions, the tool breakage was accelerated. The application of LN2 increased the thermal impact and the scratch effect of the SiC particles on the tool faces, aggravating the tool breakage. The rapid tool breakage caused by Oil cutting could be attributed to the reduction of the cutting edge strength that bore the alternating load and thermal impact. Therefore, it is concluded that the use of MQL, which assists in reducing the boundary wear, tool breakage, and major flank wear, is suitable as the preferred cooling and lubrication mode in the turning of Al/SiCp composites. This work was supported by the National Nature Science Foundation of China [grant number 51775083].